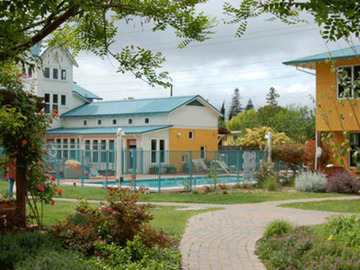 Raines says: This regular monthly community tour and open house of the East Bay's biggest and most "suburban" cohousing neighborhood, Pleasant Hill cohousing, the only "new-build" classic cohousing community in the region, the largest in the East Bay, and a lovely community. Note that this is not an official MeetUp run by East Bay Cohousing, but we will pass along RSVPs that come in here, and you can use this event listing to coordinate carpooling, bike riding, and the like. 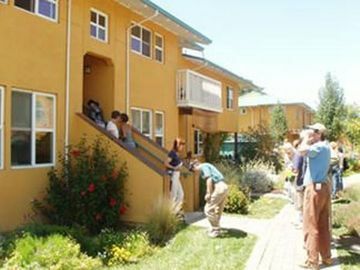 Visit Pleasant Hill Cohousing's page on the EBCOHO MeetUp for more info, links, and current openings. If you need to cancel your reservation, or decide not to go, please let Pleasant Hill's volunteer tour guide know as soon as possible! There are 32 units, grouped in various configurations ranging from 2-6 homes per building. The buildings were constructed with wood framing, stucco outer walls, and corrogated metal roofing. The smallest units are 640 sq ft one-bedrooms; the largest are 1579 sq ft four-bedrooms. Each home has its own kitchen. 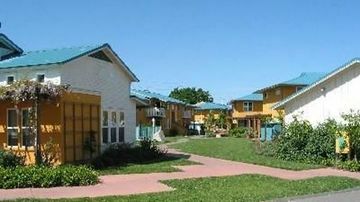 The homes are owned individually as condominiums, with some rentals. Our 3,835 sq ft Common House contains a kitchen, dining room ("great room"), sitting room, laundry, kids room, teens/older kids room, crafts room, guest rooms, and bathrooms. The Common House is the only building in the project that has air conditioning. However to minimize the use of air conditioning, the building also has a cooling tower with large fans that can be used in the evening to pull cooler air into the building and push hot air out. Other common facilities include swimming pool, hot tub, play area, workshop, bike shed, organic garden, and granite boulders from original site - both decorative and used by children for climbing. We're conveniently located near Highway 680 and public transportation, with easy access to Walnut Creek, shopping, and recreation. Pleasant Hill, population 32,000, is located 30 miles east of San Francisco, 4 miles north of the I-680/Hwy 24 interchange. Mostly a residential community with scattered retail/commercial areas, it is bounded by the cities of Walnut Creek, Lafayette, Concord, and Martinez. Pleasant Hill has recently (2000) redeveloped its downtown to create a contemporary shopping district just blocks from the site. In addition, an abundance of good restaurants and shops are within easy driving distance. The city has good recreation programs for all ages and regional walking/biking trails traverse it. 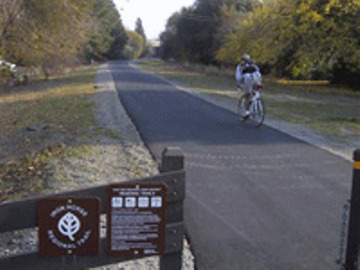 A walking and biking trail - the Iron Horse Trail (so named because it's on the old Southern Pacific Railroad right-of-way) - runs alongside the site and connects to the Pleasant Hill BART (Bay Area Rapid Transit) station (~1 mile) and downtown Walnut Creek (~4 miles). The 24-mile trail goes north-south from Concord to Dublin and connects to several other trails that traverse the county making for great biking opportunities. A neighborhood park is located just the other side of Fair Oaks Elementary School adjacent to the site. Briones Regional Park and Mt. Diablo State Park are located nearby providing numerous opportunities for hiking and recreation. There are several health clubs in Pleasant Hill including the YMCA. Diablo Valley Community College and JFK University are located in Pleasant Hill, and there are several city and county adult education programs in the area. There are multiple venues nearby for movies, theater, music and other performing arts including the Dean Lesher Center for the Arts in Walnut Creek, the Willows Theater Company in Concord, and the Concord Pavillion. There are farmers markets in Pleasant Hill (May-Nov) and Walnut Creek (year-round). Several community members participate in a CSA farm, Terra Firma Farms, with a weekly delivery of locally grown organic fruits and vegies made even more convenient because we are the drop site. You can get more out of East Bay Cohousing by upgrading to an Annual Supporting Member. You get early notice of openings and opportunities, a featured profile, discounts on events, and more. 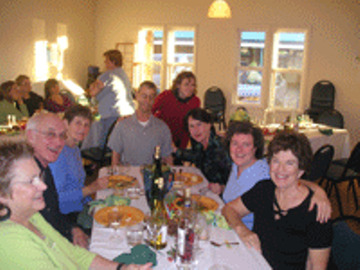 Cohousing California is committed to helping people find a community they can call home. We want to hear how we can help you or what you can provide to help build our growing web of cohousing communities in California.